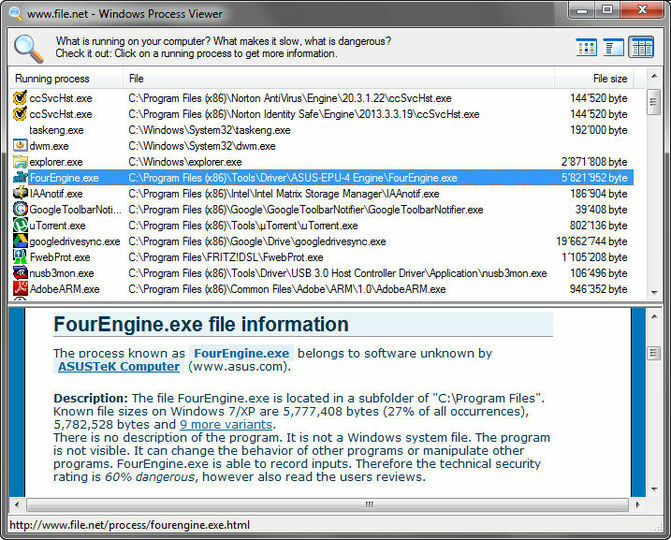 Windows Process Viewer is an alternative to Windows Task Manager, showing information on processes running on your system. The software displays the Windows file name, full folder path and file size for each Windows task in the active Windows processes list. It can also check a process against a database online for more information if it is available.